When installing a garage door opener, you want to work with a company that offers you the ease of mind and confidence that Emil’s Garage Doors can offer. Experience in the industry, as well as an extensive knowledge with different products all adds up to a winning combination of satisfied clients and flawless projects including garage door opener repair and garage door opener installation. We know how important it is for you to trust the ones who work on your home and we appreciate the opportunity to service your most trusted asset. At Emil’s Garage Doors, that trust is repaid by making sure our service exceeds your standards. We help you choose the right product, at the right price for you and your home, so you can trust the industry experts to guide your way. Whether you are looking for an ultra-quiet belt drive opener or a powerful chain drive opener, we can offer you those products and more. We also have smart garage openers, which are the latest in technological advancement and can be operated using your smartphone. And of course, wall mount openers are an ever-popular choice to leave the ceiling space in the garage free for storage or taller vehicle clearance. Available brands: Liftmaster, Chamberlain, Genie, and Craftsman. Belt drive openers are a classic choice for their low vibration and reduced noise, coupled with security. Ceiling mounted and relatively quiet, they are a common choice of homeowners for their ease of use and unobtrusive sound. A belt drive opener can stand up to any garage door, with its powerful motor, while offering attached garages the benefit of reduced noise. For a strong and powerful motor, a screw drive garage door opener is the ultimate choice. Because it requires so little maintenance, it is a great choice for homeowners and can handle heavier garage doors with little effort. These are durable and strong openers and will last for years. Known to be some of the fastest garage door openers, they offer outstanding function and durability. 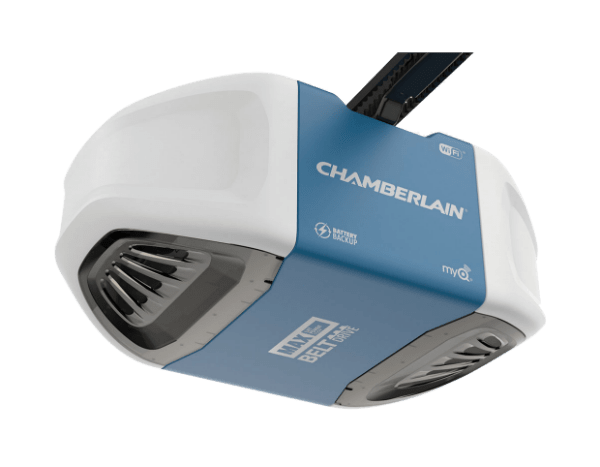 As the most common type of garage door opener in the United States, chain drive garage door openers continue to be a popular choice because of their durability and ease of operation. For homes with detached garages, these remain a popular option as the distance from the living areas negates the possible noise disruption, and it makes up for it in cost efficiency. Wall mount also known as a jackshaft openers are a great option for homes where the ceiling space is being utilized for storage or to accommodate taller vehicle parking. Since they mount on the wall, they can be conveniently placed to be the least obtrusive and ensure a more fluid appearance to the garage ceiling. Wall mount openers can free up the space for homeowners to use as they wish. Wall mount openers are a great option for homes where the ceiling space is being utilized for storage or to accommodate taller vehicle parking. Since they mount on the wall, they can be conveniently placed to be the least obtrusive and ensure a more fluid appearance to the garage ceiling. Wall mount openers can free up the space for homeowners to use as they wish. 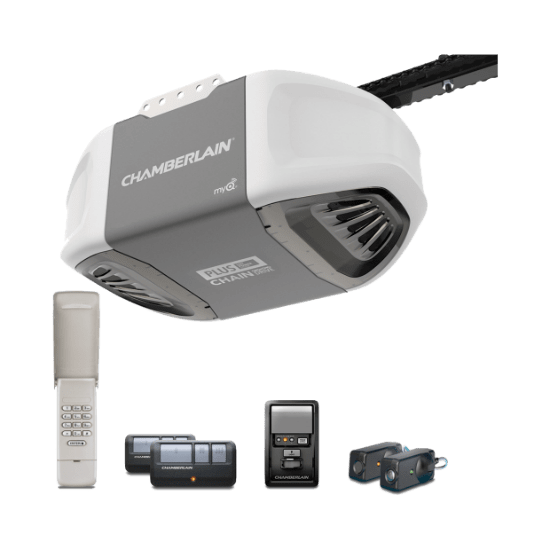 Utilizing the very best garage door opener brands, you are assured a quality product that will stand the test of time and offer reliable operation each and every time. A garage opener must be dependable, offer safety and peace of mind, and maintain its durability. When you use products by nationally trusted brands like Chamberlain, LiftMaster, and Genie, you know you are receiving the very best product. 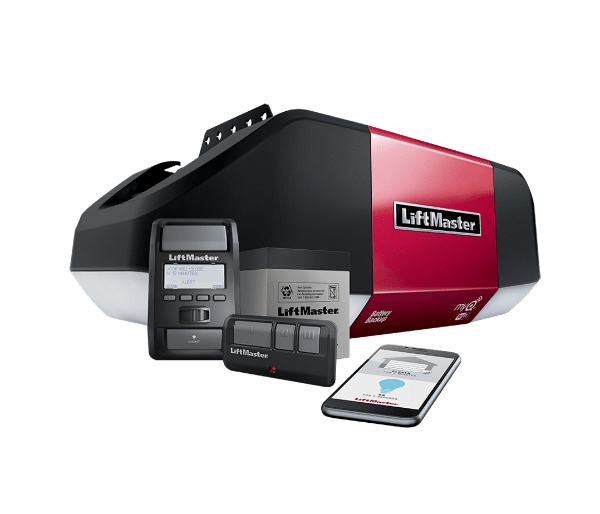 LiftMaster is a nationally trusted company that has been offering quality garage door openers for homes and businesses for over 50 years. 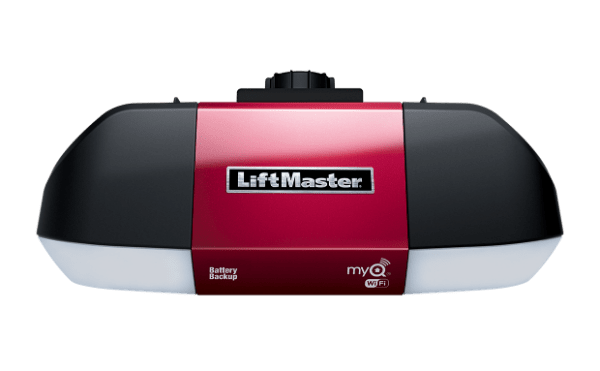 With a stellar reputation, and excellent products, accessories, and parts, LiftMaster is a name you can depend on. As an industry leader, they offer a wide range of wireless and forward-thinking products for your home or business. 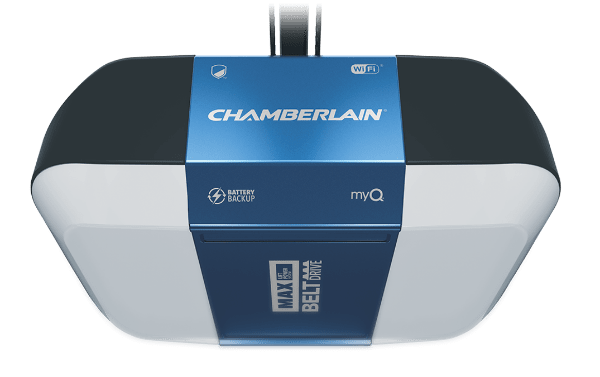 Simplifying life with over 40 years’ experience in the industry, Chamberlain is a well-known and highly regarded company boasting innovative industry advancements and tech-savvy solutions for today’s homeowner. Their products are used in countless homes across the United States and their reputation for excellence is simply unmatched. 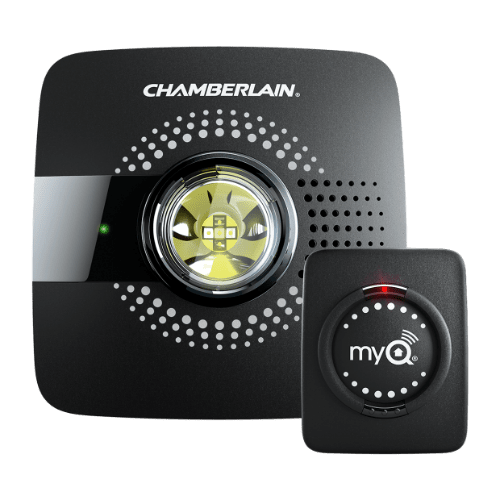 Creators of the MyQ App, which allows for smart-phone enabled garage access, Chamberlain is a name that any homeowner can feel confident in choosing. 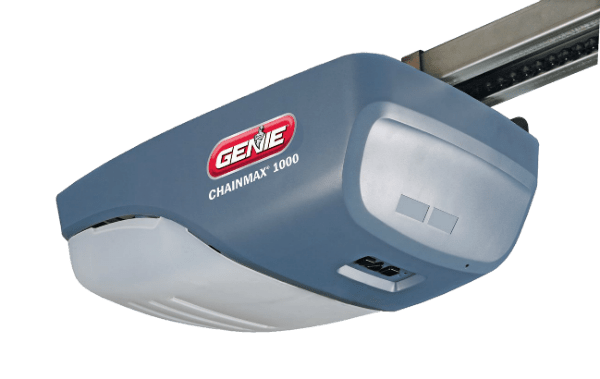 As one of the oldest companies, Genie has been making garage door openers for U.S. homes for decades. Innovating the first drive screw opener, Genie has a reputation like no other. They offer many different products, all of which are backed by their unwavering commitment to quality. With such a long-standing reputation, openers by Genie are a solid investment in your home. 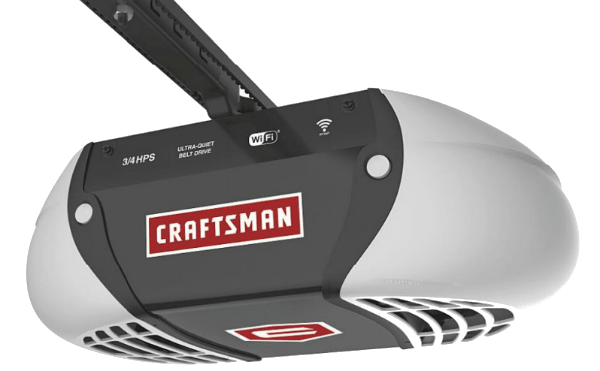 Craftsman is a well-known and trusted name in garage door openers and have earned that with their 90 years of dedication to quality products. As makers of many, well-crafted products, a Craftsman garage door opener can be relied on for years to come. They offer everything from classic chain drive garage door openers to smart belt drive openers with advanced smartphone capabilities to offer ease of use and ultimate in security for all homeowners. Operating a garage door opener with the ease of a smartphone-enabled system is a great new innovation that many homeowners love. Offering the best in security and comfort, the peace of mind of receiving alerts when the door has been opened, a smart garage door opener is the latest advancement. Imagine being able to feel secure and confident with the garage door access right at your fingertips wherever you go. The MyQ app is the latest app that allows you to operate your garage from your smartphone. 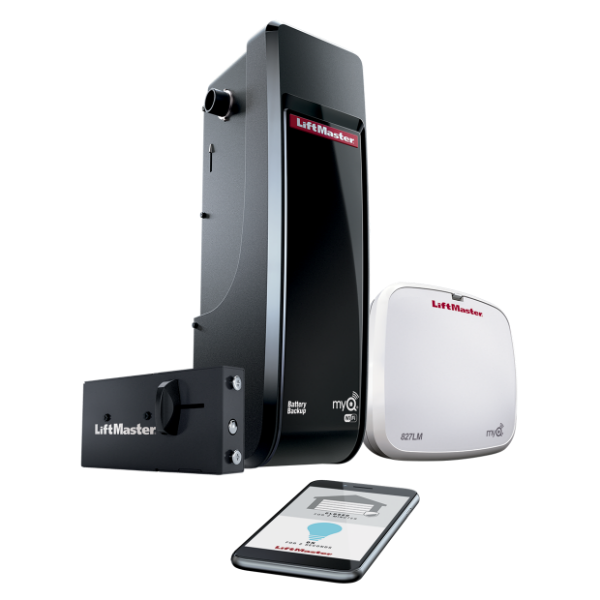 Used with Liftmaster and Chamberlain openers, it allows operation of the garage door securely and remotely at the touch of a button. Offering the greatest advancements in technology and security, MyQ App brings all the comforts of wireless entry to your fingertips. With Aladdin Connect by Genie, you can monitor and access your garage from anywhere using your smartphone. Allowing you greater security by information anytime your garage door is opened or closed, you can rest assured that your home and family are safe and secure. 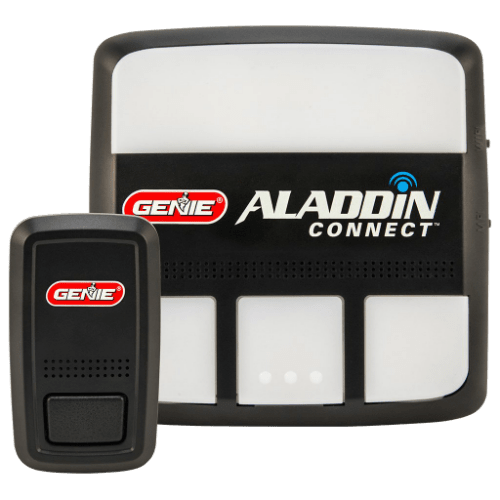 The Aladdin by Connect transfers this information whether the garage door is opened electronically or manually, so security is a no-brainer.